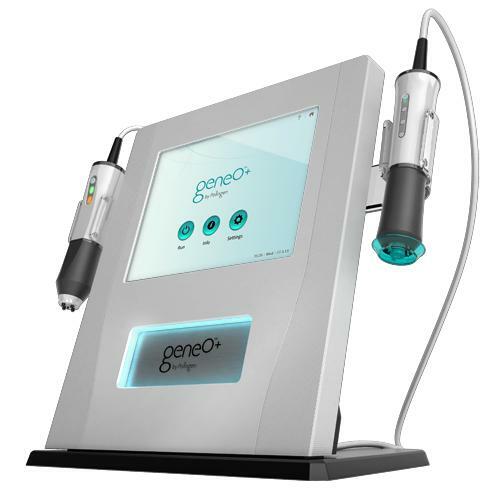 Pollogen recently introduced the geneO+, breakthrough skincare platform that incorporates patented OxyGeneo Technology for unparalleled facial skin nourishment and oxygenation and renowned TriPollar Technology for clinically proven wrinkle reduction, skin tightening and facial rejuvenation. geneO+ is compact and mobile allowing skin care professionals to create new opportunities beyond the walls of their clinics. Offer at-home treatments before a special event. Be the main attraction at a bridal shower. Promote geneO+ treatments at town events or other community activities. Designed with the aesthetic professional in mind, geneO+ integrates Pollogen’s new patented OxyGeneo technology with renowned TriPollar technology. geneO+ delivers superior skin nourishment and oxygenation together with clinically proven anti-aging results. In the US, the geneO+ is currently only available with OxyGeneo. Click here to navigate to the US Pollogen website. Pollogen has invested a lot of thought to the look of geneO+ so it will “catch the eye”; prompting clients to enquire about the device and giving you the opportunity to introduce the wide range of treatment offerings geneO+ has to offer. Aquamaof Aquaculture Technologies, has established the largest industrialized fish farming facility in Poland. Aquamaof has designed and built the facility, in cooperation with local Polish businessmen. Warm-species tilapia demand hot water growing conditions of 28* celcius (82* farenheit). North Europe would seem an odd place to produce this commodity fish, but the team was determined to produce 1,200 tons of tilapia annually. They built a state of the art facility which incorporated new technology. A complete denetrification system reduces water consumption to the minimal amount necessary, and the air heating system uses underground soil and stone temperature as a natural heat exchange. The farm is located in Plonsk, about 65 km (40 miles) from Warsaw, and features a quarantine section to receive small fry’s and monitor the desizes and parasites before being admitted to the grow-out and production areas. The project was designed to grow two species, but only one is in production as yet. The system operation, design and management of this project was completed on budget. The total electricity consumption is less than 130 kW/h with the denitrification. Without the denitrification process the energy costs would be 30% less, 100 kW/h. Because of these savings and others built into the design of the project, the projected cost of production for one kilogram of fish is very low. Delivering a high quality commodity product to the fresh market, this project is a success. EZsurgical develops manufactures and markets innovative medical devices aiming to improve patient care and simplify procedures for surgeons. A-Lap - the first 3-Dimensional "hand-like" laparoscopic retractor. The design incorporate a soft and flexible, yet strong mesh design with an intuitive handle design, allowing the surgeon to manipulate and lock-in the degree to which the device is opened. A-Lap™ design enables conveniently "wrapping" a large volume of tissue, by accepting the natural topography of the organ, thus simplifying soft tissue retraction and reducing the risks associated with tissue retraction. DASH - this is a proprietary hands-free, 3-Dimensional malleable absorptive retractor for open surgeries, where padded retraction and enhanced visualization is required. EZsurgical products are sold worldwide with extensive clinical experience in a variety of procedures. The products are simple to use and do not alter the surgical procedure. Blue I Water Technologies is a leading designer and manufacturer of water quality solutions for industrial water treatment and swimming pools. Blue I's pioneering and patented analyzers and controllers enable reliable and cost-effective water quality solutions. 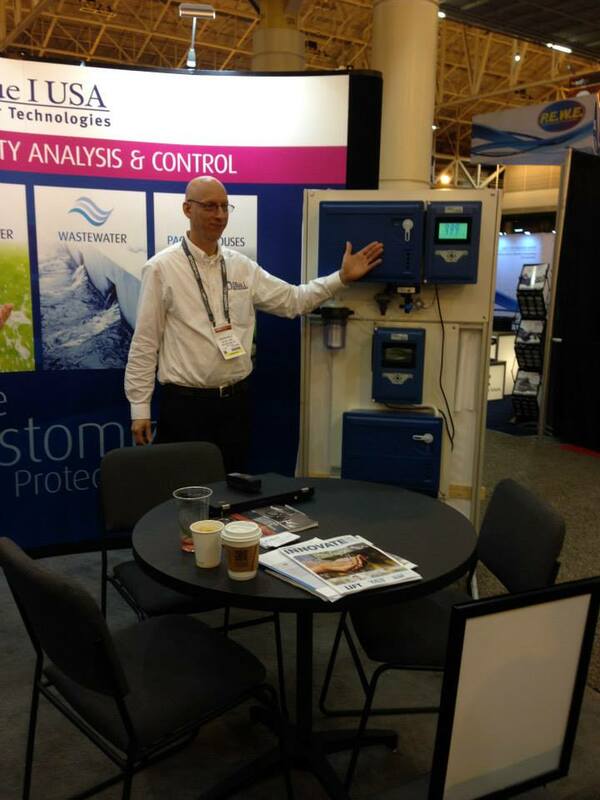 Blue I’s new USA branch launched operations at WEFTEC 2014. Salt of the Earth has been producing sustainable sea salt solutions for the global food industry since 1922. Salt of the Earth customers span 30 countries over 5 continents. 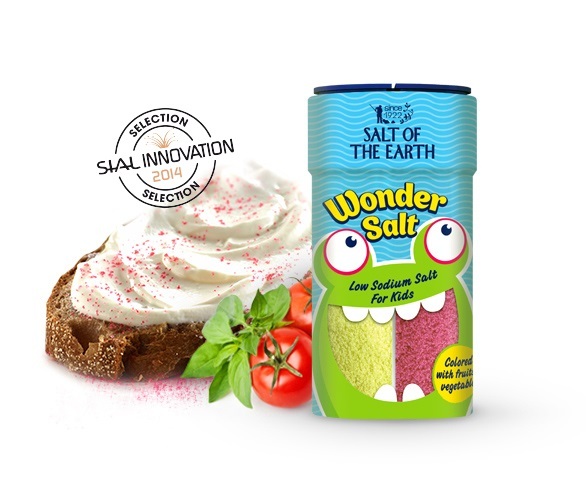 WonderSalt – Low-sodium sea salt for kids, naturally colored with fruit and vegetable extracts. It contains 50% less sodium than regular salt and helps children control salt intake by using this fun-colored salt that allows them to clearly see how much they are using. 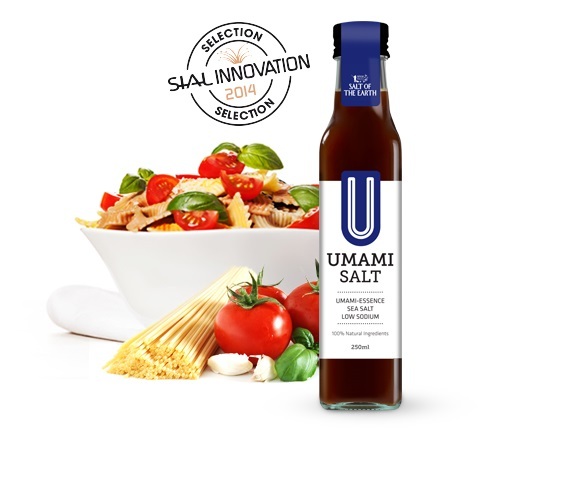 Umami-Essence Sea Salt – A propriety liquid formula derived from tomato extract and pure salt from the Red Sea that can reduce the level of a recipe’s sodium while boosting homemade recipe flavor via the exotic 5thtaste known as umami. 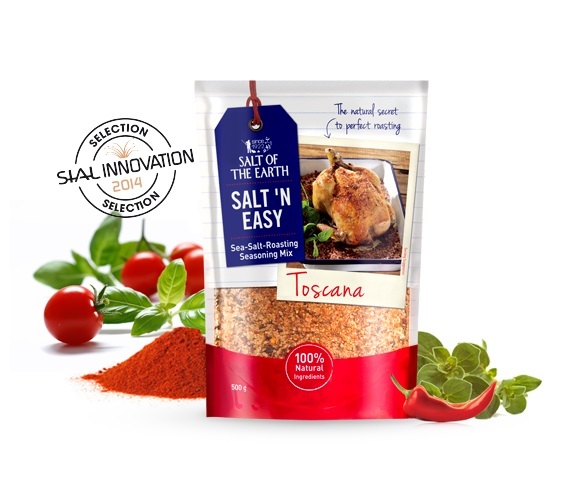 Salt ‘N Easy – A line of four creatively seasoned sea-salt roasting mixes for poultry, fish or vegetables. This cooking aid platform allows anyone to “cook like a chef.” Just two minutes of prep helps create a delicious gourmet dish without added fat. Arak Kawar 45 Green is finally available on the shelves of LCBO's stores in Toronto, Ontario, Canada. 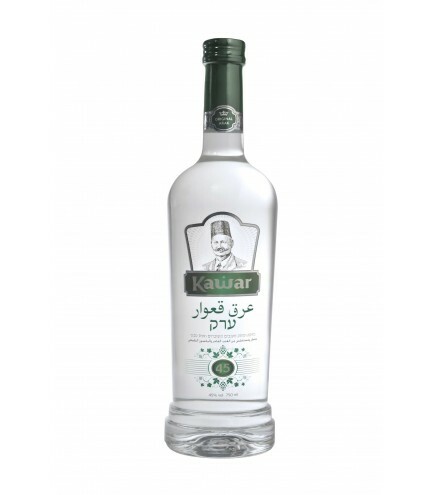 The LCBO joins the SAQ and is the second Liquor Board who sells Arak Kawar. Kawar Arak is produced from natural Syrian aniseed, 100% grape alcohol made from sweet white grapes from the Galilee, and purified water. These three expensive, natural and quality ingredients, when combined with advanced know-how and technology, produce a premium, methanol-free arak. The use of automated distillation and measuring technology requiring no human intervention ensures that each drop in every bottle has the same consistent taste. Indeed, there is no difference between the first and millionth bottle produced. Such high standards bring arak production to a new and higher level. The Kawar plant employs a food engineer and food technologist responsible for product development. The factory also has a sophisticated R&D lab and quality assurance (QA) system. EZPack water system is a comprehensive water solution for various situations. It includes an advanced water pillow, with the integral food-graded inner layer, equipped with all the required accessories. The system is easy to operate and compact to store, and can be assembled very quickly. The EZPack includes all the required accessories to fill water, drinking and washing. EZPack water bladder provides clean and fresh water in any environment. The proprietary food-graded inner layer keeps the water fresh and at drinking condition for many months. EZPack water bladders are ideal for installations for military vehicles for water storage. 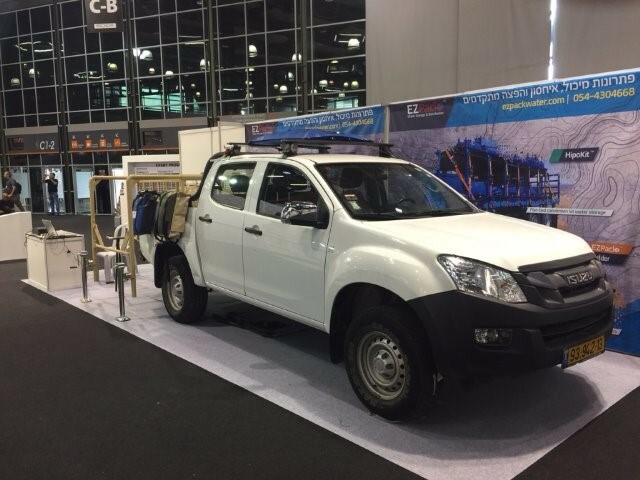 EZPack water storage can be provided in any size, and therefore can fit in various areas inside or outside the vehicle. The EZPack water system can provide water for drinking, cleaning, cocking and any other use. The food-graded inner layer keeps the water fresh and clean even at harsh weather conditions. 1. The water is suitable for drinking for long time. 2. No maintenance or cleaning – just replace the inner insert (5 minutes, low cost). 3. Durability – when a bullet hit the bladder – change the inner insert and the bladder can be used. Since 1973, RB-DOORS set forth to lead the door industry, establishing new standards for security, quality, visionary thinking and cutting edge technology. The constant pursuit of innovation has led to registration of a multitude of security patents and trademarks, both in Israel and internationally and an impressive sales record of over 4 million doors in Israel and abroad. 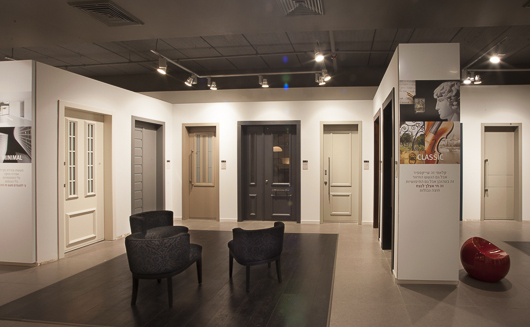 Across 5 different continents, RB-DOORS manufactures doors for over thirty partners worldwide. RB-DOORS is also the largest supplier worldwide of Forced Entry doors for embassies, security institutions, banks and more. Visiting the MEDICA Trade Show in November? 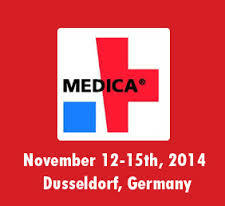 MEDICA 2014 is right around the corner! Like every year we will be having companies exhibiting at the show! Naveh Pharma Ltd. is a licensed distributor of medical pharmaceuticals including prescription and over the counter OTC products and natural health products. Naveh Pharma reputation was created from a line of proprietary, high quality products, using unique techniques, directed toward the Pediatric General Practition and ENT (Ear, Nose & Throat) fields. Noam Urim will be introducing their unique soaped sponges for the healthcare market. Noam Urim is looking to meet with Medical care suppliers for the Hygiene market personal care (soaped sponges) Noam Urim is a leader in the manufacture and production of needle-punched nonwoven fabrics. The Company offers a variety of products that provide solutions for a wide range of industries and applications. 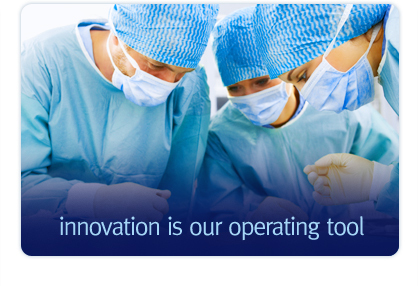 EZSurgical is a medical device company headquartered in Or Akiva, Israel. EZsurgical develops manufactures and markets innovative medical devices aiming to improve patient care and simplify procedures for surgeons. The company's DASH Malleable 3-D retractor for open surgery is sold world-wide. The company's A-Lap is the first 3-Dimensional "hand-like" laparoscopic retractor. The A-Lap is distributed in Europe and in the US. EZsurgical maintains strong R&D initiatives for organic growth as well as product development via in-license opportunities, and is constantly looking for physicians with new promising medical devices to add to its product portfolio. "מאסטרטגיית שיווק בינלאומי ועד כלים מעשיים למימושה"
במפגש נציג בקצרה את השיטות לתכנון של אסטרטגיית שיווק בינלאומי לחברות יצואניות וכן את הדרכים למימושה ותחזוקתה. 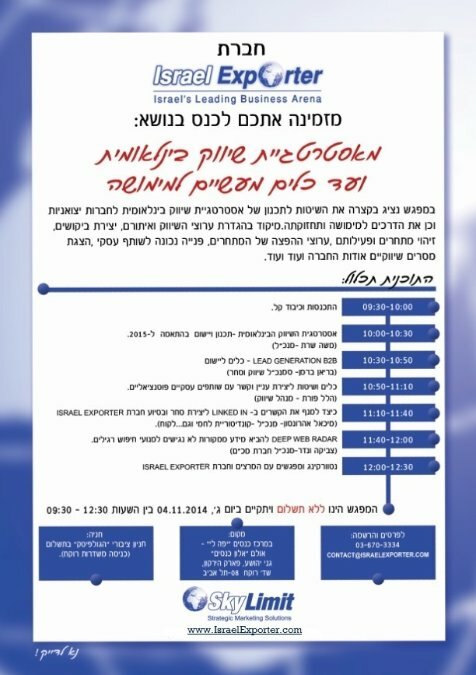 מיקוד בהגדרת ערוצי השיווק ואיתורם, יצירת ביקושים ,זיהוי מתחרים ופעילותם ,ערוצי ההפצה של המתחרים, פנייה נכונה לשותף עסקי, הצגת מסרים שיווקיים אודות החברה ועוד ועוד. 09:30-10:00 – התכנסות וכיבוד קל. (מיכאל אהרונסון, מנכ"ל קונדיטוריית לחמי, ולקוח). מרכז כנסים "יפה לי", אולם "אלון כנסים", גני יהושע, פארק הירקון שד' רוקח 80, תל אביב.